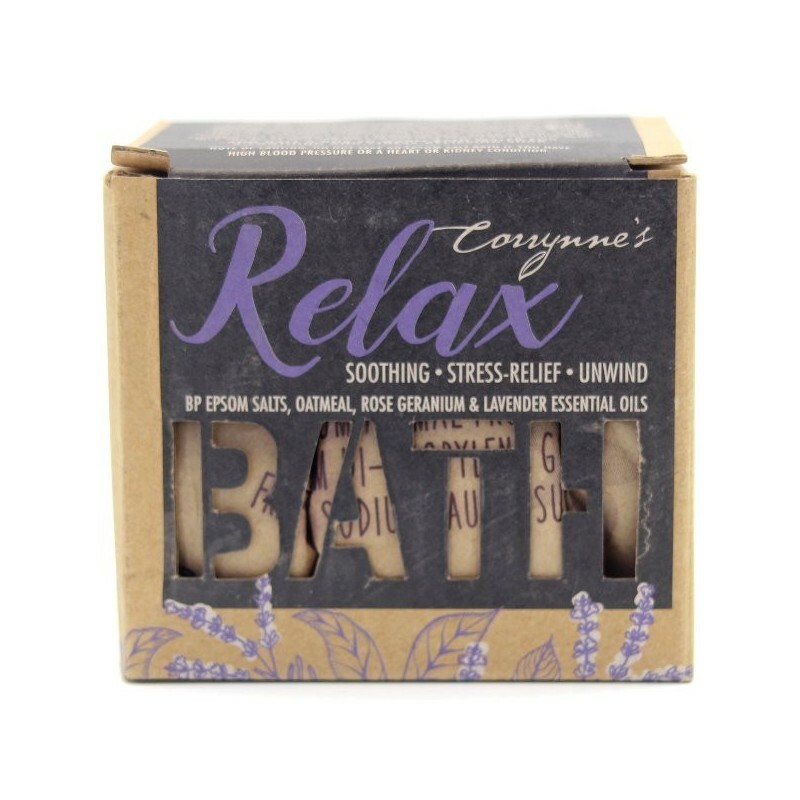 This blend of essential oils and Epsom salts is perfect for a soothing and stress-relieving soak in a warm bath. Attractively packaged in a sturdy cardboard box. 500gm. What a treat at the end of a hard day to soak in a warm tub with this relaxing blend of essential oils and and healing Epsom salts. Known by the chemical name magnesium sulfate, Epsom salts is a neuro-muscular relaxant. It helps to ease muscle aches, reduce swelling, draw out toxins and soften skin. Epsom salts create a gentle drawing action that reduces inflammation in and around swollen or bruised tissues. Some experts also believe that the magnesium is absorbed through the skin, helping the body to heal. 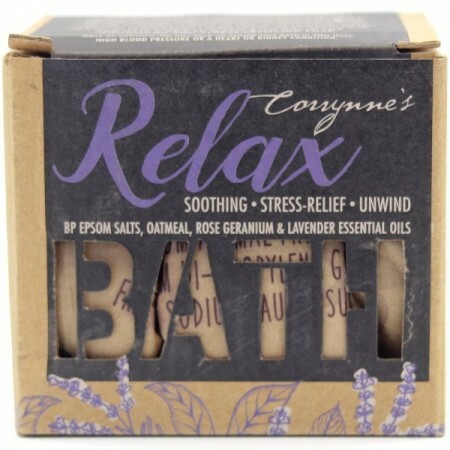 Corrynne’s Bath Salts also contains oatmeal which softens water and skin and essential oils for their therapeutic qualities and fragrances. Note of caution: Do not take an epsom salt bath if you have high blood pressure or a heart or kidney condition. Handmade in Western Australia using natural ingredients. Add half a box to warm bath water for a soothing and stress-relieving soak. Browse our other organic skincare. Nice, but a strong floral smell. This is a weighty box of bath salts and proved to be a good gift for my mother. She liked them, but a word of warning for anyone with allergies/asthma/sensitive to strong fragrances - the floral smell was very strong. It wasn't a bad smell, just really strong. I ended up having to wrap the box in multiple layers of paper because the smell was so strong in my house in the lead up to Christmas. I also got Corrynne's Mineral Coconut Milk Bath and it didn't smell near as much, so I'd probably recommend that instead.